A meal isn’t complete without sweets, a hot or cold sweet sugary dessert, which melts into your mouth instantaneously. Everyone loves to indulge their craving for sweets especially when it means desserts from the desert. 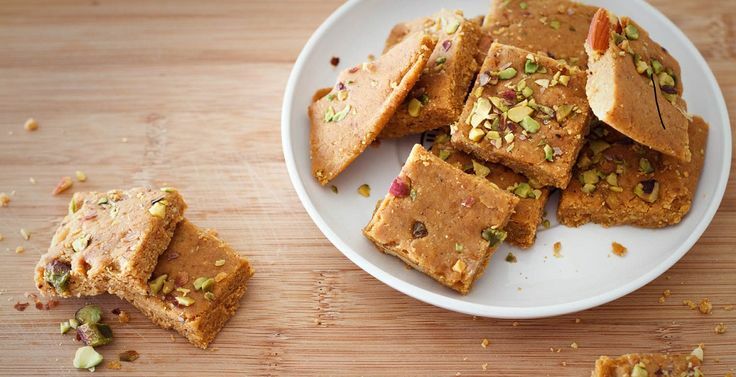 The sandy landscapes, the colorful culture, and history in this Indian desert have given Indians and others the world over a plethora of sweets that can satiate every sweet whim. Craving sweets already? 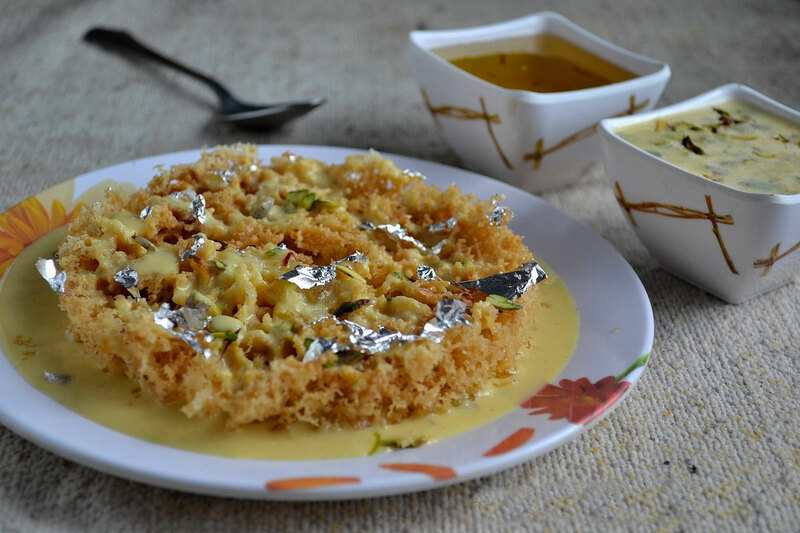 Don’t worry ask Kesari Tours to add one of these sweet dishes to your food every day when you vacay in the land of maharajas: Rajasthan. Whether you are happy or sad, this hot sweet that is crisp on the outside and gooey inside will make your day happy. 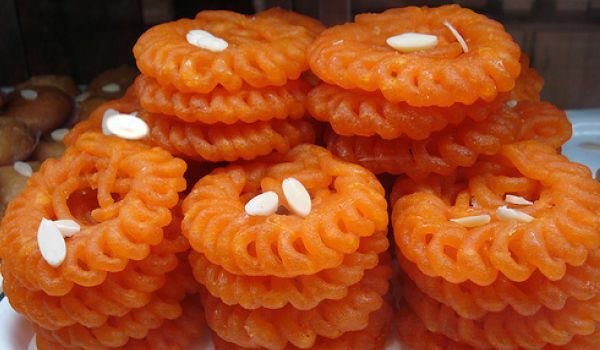 Made from fresh paneer, this sweet is quite a hit during festivals and is sure to transport you to some other land. A chewy, sweet textured sweet, it is an instant treat for everyone. Garnished with fine chopped dry fruits and cardamom it is definitely heavenly. 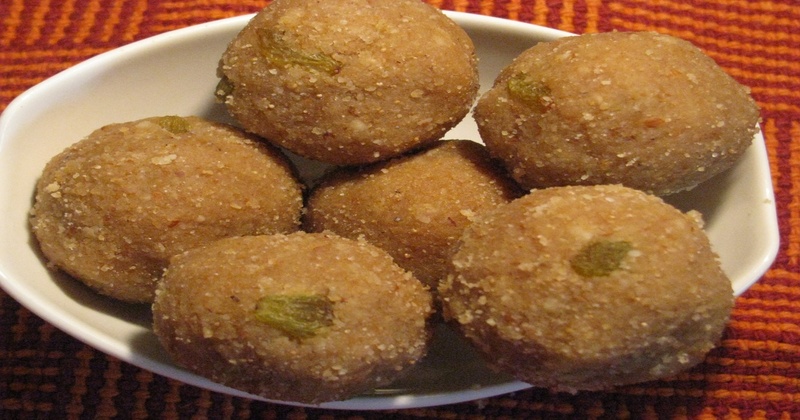 The divine exotic sweet is definitely the king of all Rajasthani sweets. Eat it with some cold rabri or just as it is, it’s a total sinful indulgence. 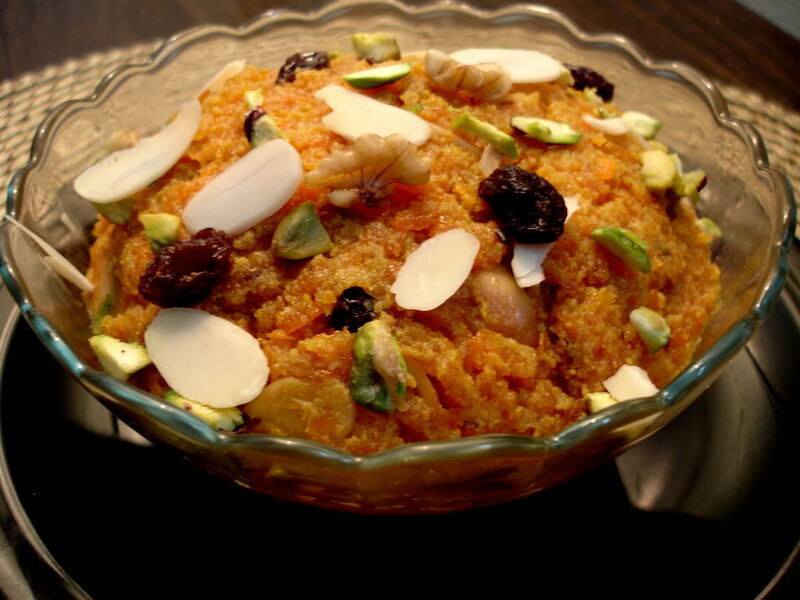 An extremely rich, sweet dish, the kheench is in fact, an instant dish made from wheat. Meant to be served cold, this porridge garnished with slivers of dry fruit can keep you hooked till the last bite. This shiny, nutty sweet crackles with every bite you have. 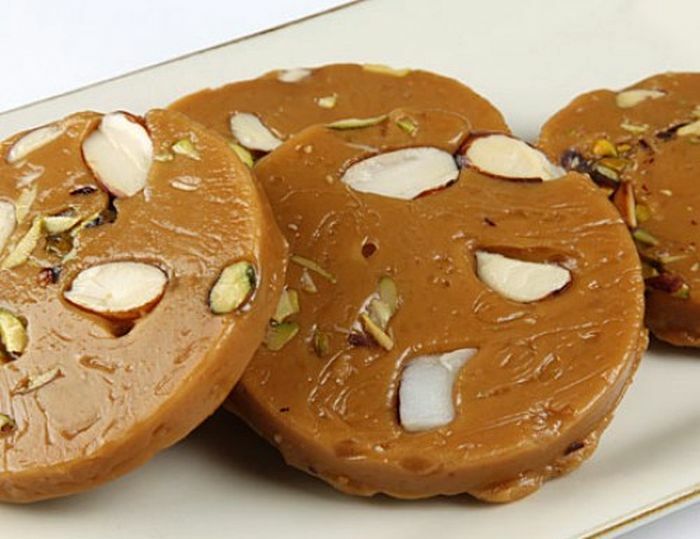 The best way to have this divine sweet is to pair it with a glass of cold milk. 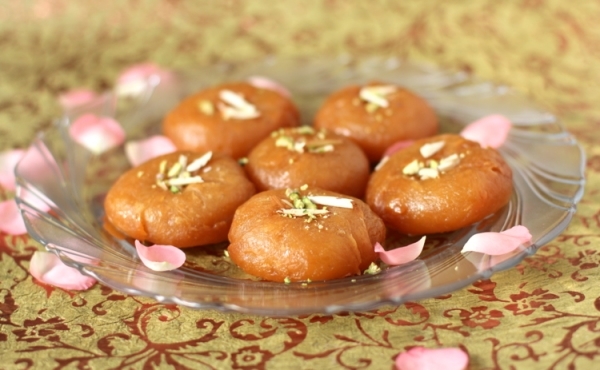 Made in desi ghee and dipped in a saffron sugar syrup, it is definitely the queen of Indian sweets. The heavenly taste of crunchy layer outside coated with sugar syrup, with an inside of flavored khoya, the balushahi just melts in your mouth. Deep fried besan batter dipped in sugar syrup, is a soft, delectable sweet that is best enjoyed with a glass of cold milk. A favorite among Indians especially during marriages and festivals. Made from soaked and ground moong dal, this halwa is one of most flavorful sweets you can ever taste. 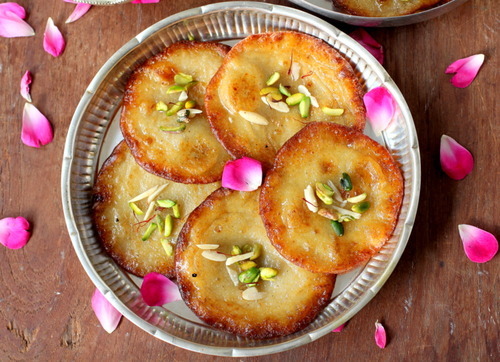 The indigenous sweet of Rajasthan served with dal-bati, can be on your must taste list of desserts if you happen to visit Rajasthan. 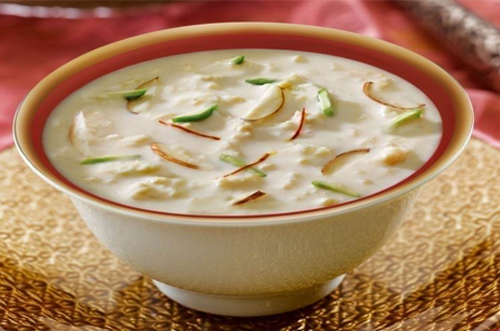 To get the best experience of desserts while in desert ask Kesari Tours to take you on a Dessert Safari!